In addition to the last day of the Modern Marks blog hop, today we're showing some of Christa's quilts using Modern Marks fabrics. Squiggles - My Piece and Quilt with Precuts book came out in August. That meant that I’d written the book and finished all the projects before I’d designed any of the Modern Marks fabrics. I knew that as soon as the fabric was ready, I had to go back and remake many of the quilts from the book. 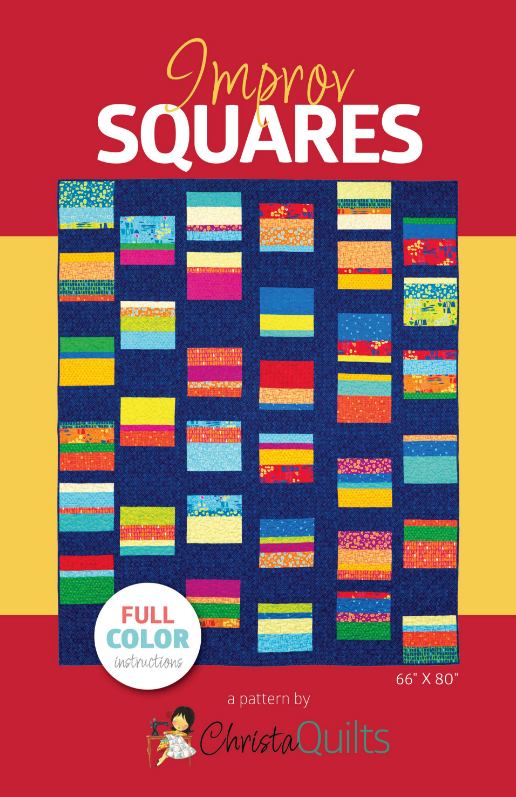 This Squiggles quilt is more subdued in the book, but it’s brighter here on a black background. 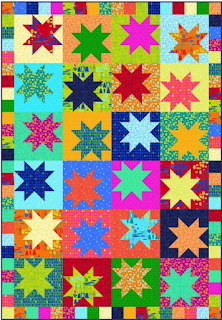 Starstruck - This quilt was done in black and white in the book, but in color it’s ten times batter. 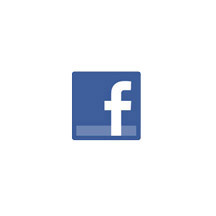 It’s my favorite, even if you’re not supposed to have favorites. 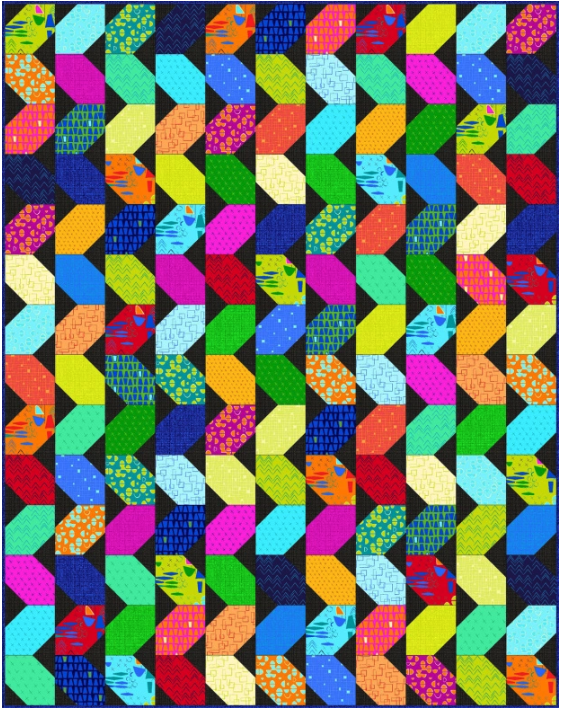 Improv Squares - This quilt is what I call structured improv. It’s made with 1 pack of 10x10s and a background fabric. You cut the squares into specified shapes, mix them up and rearrange them. I call it organized chaos. Click here to find Christa's Improv Squares pattern on Craftsy. 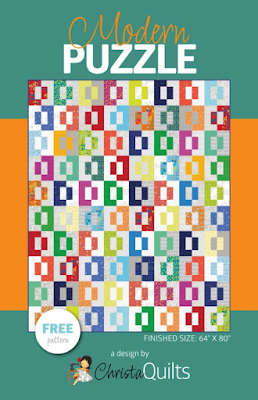 Modern Puzzle - This quilt is also focused on precuts, but this time 2-1/2” strips. It’s just one block repeated over and over. You get great contrast with really bright fabrics paired with neutrals. 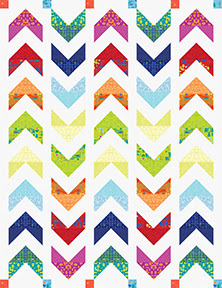 Benartex created a white/gray pinwheel of 11 different existing prints to work with Modern Marks. I’m really happy with it. 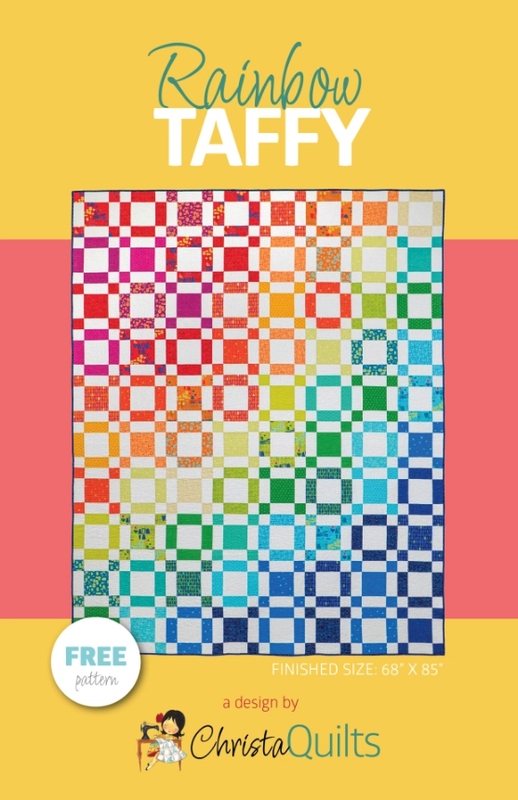 Rainbow Taffy - I designed it because I love a good rainbow, and I like to work with a lot of precuts. This quilt uses 5” squares and it’s easy to make, but it looks complicated. The rainbow order of the squares cascades across the quilt. Welcome to Day 5 of our Modern Marks blog hop! We're loving seeing what everyone has made using Christa's fabric, and we hope you are too! "I love how the vivid colors and smart prints in Christa’s Modern Marks fabric play perfectly with the simple shapes in my one-block Churned Up pattern! Pop over to quiltdistrict.com for details on how you can win a 10x10 stack of Modern Marks and your own copy of this beginner-friendly pattern!" Click here to see Tara's post. 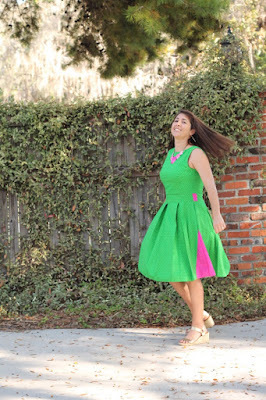 "I am so happy to share what I made with Christa Watson from Christa Quilts new fabric line, Modern Marks, from Benartex Fabrics with you: a dress using two prints from Modern Marks, Crossmarks in Green and Pink. 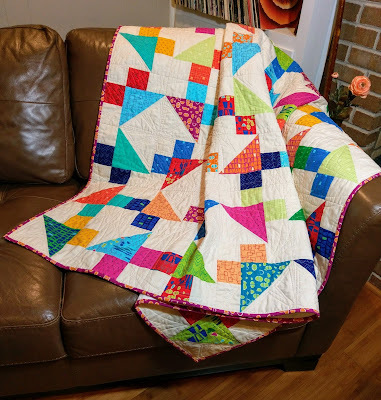 I wanted to make a dress for several reasons but the biggest reason was to show that you can use quilting cottons for more than quilting projects." Click here to see Stephanie's post.